Tuck into the biggest celebration of the year in style with the Harvey Nichols Royal Wedding Hamper. Available exclusively online at harveynichols.com, this limited edition is bursting with luxurious food and drink treats as well as a specially created tote bag featuring a playful illustration to mark the occasion. 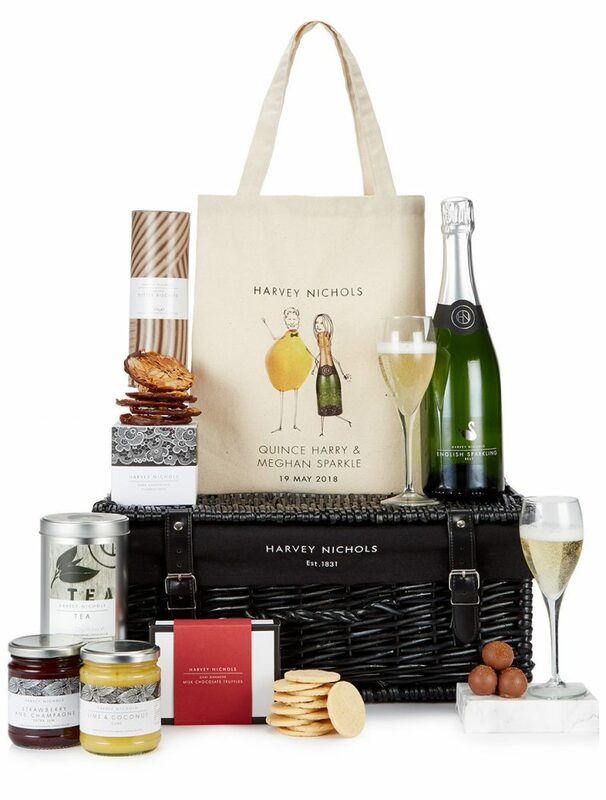 Priced at £95, the celebratory hamper features hand-picked Harvey Nichols foodie delights as well as a bottle of Harvey Nichols English Sparkling Brut NV so you can raise a glass to the happy couple. There’s also a selection of quintessentially British treats including almond butter biscuits, chocolate Florentine creams, strawberry preserve with Champagne, milk chocolate truffles, lime & coconut curd and Earl Grey lavender blue loose leaf tea. The special edition tote bag features an illustration by Ruan Milborrow, who worked closely with Harvey Nichols to produce the ‘Quince Harry & Meghan Sparkle’ sketch – a tongue in cheek take on the royal pair and a stylish keepsake for a very special day. The limited edition Royal Wedding hamper is only available online here, while stocks last.